Once you pop, you can't stop! Now you can save & load your game scenario. 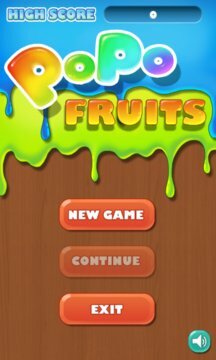 The best popfruit game in the market! ✓ New Block Role - 5 Styles of fruit. ✓ Save & Load your game scenario. ✓ New UI with Perfect Arts. ✓ New Original Music & SFX make you enjoy all the time. ✓ Just tap two or more fruits of the same color. ✓ There is no time limit, but each stage has target points to proceed to next stage. ✓ Magic-fruits can help you to change the color of fruit during playing. 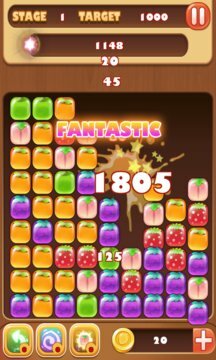 ✓ The more fruits you pop, the more score you will get. ✓ Try to clear all fruits, you will get a lot of bonus.